Our tour starts at 3 PM from CIRCUS CIRCUS Hotel and Casino. Please wait for your tour guide by Starbucks at Circus Circus Casino Las Vegas at 3:00 pm. to depart for St. George, Utah and stay overnight. Explore St. George on your own this afternoon/evening. St George is on the border of Utah and Arizona. Some points of interest are St George Art Museum, Rosenbruch Wildlife Museum, St George Opera House, St Geore Utah Mormon Temple and St George Dinosaur Discovery Site. Hotel tonight is Red Lion Hotel & Conference Center in St. George or similar. 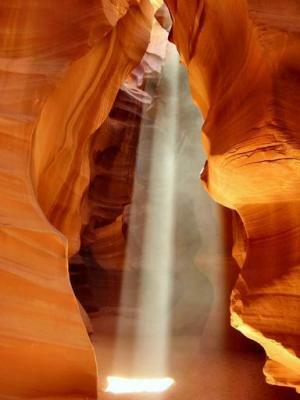 Depart and head to Antelope Canyon. Along the way we will pass by Glen Canyon, which holds back Lake Powell. Lake Powell is the nation's second-largest artificial lake surrounded by 96 side canyons. The view is stunning. Next, we will stop at entrance to Antelope Canyon. (OPTIONAL) 1 Hour Tour Into ANTELOPE CANYON with a Navajo Guide. Cost: Adults ​$50.00/Adult; $30.00/Child 8-12) (Note: $8 ea Navajo Parks & Recreation permit charge is already included.) This experience is truly one of the Top Ten Sites in the World for Photography and a wonderful way to experience this awesome natural wonder. A 4×4 truck will transport you comfortably to the mouth of the Antelope Canyon. Your Navajo Guide will take you on an easy walking journey through the canyon stopping in areas that are popular for photos and also sharing the Navajo Cultural stories about the canyon. This tour is very informative, sharing the history and geology of the canyon and lasts about 1 hour in the canyon. Come with your guide to a spectacular petrified sand dune, created by wind, water and time, presenting a sculptured masterpiece. Nothing can describe this work of Mother Nature and experiencing this beauty will leave you breathless. 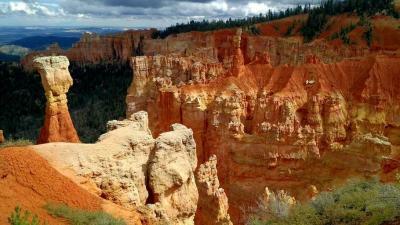 Next, we continue on to Bryce Canyon National Park to discover the spectacular view of the reddish-orange colored sandstone formations, called hoodoos. An amphitheater that is filled by pinnacles, spires, bridges and mesas. Stay overnight in Salt Lake City. Hotel: Rodeway Inn Salt Lake City Airport or similar. First of its kind, Yellowstone National Park is home to the world’s largest super volcano and more than 10,000 geothermal features. Here you can find everything you expect to see in a national park including snow-covered mountains, waterfalls, lakes, rivers, canyons, meadows, herds of bison (also called buffalo), elk and the most amazing geothermal features in the world! You will see geysers, hot springs, fumaroles and mud pots that are the true wonders that make Yellowstone very unique. Will see Grand Prismatic Spring, Fountain Paint Pots, Old Faithful Geyser, Grand Canyon of the Yellowstone, Yellowstone River and Norris Geyser Basin. We will spend the night in the Yellowstone Cabins or West Yellowstone or similar depending on weather and availablity. To make your travel more convenient, we suggest you book your tour one month prior to the departure date during the holiday season (New Year/Christmas). Due to the popularity of these tours during the busy season, the overnight hotels may be fully booked. We will choose the hotels that offer similar standards of service as an alternative. Las Vegas Tours do not permit travelers under 18, unaccompanied by a co-traveler 21 or older, to join. 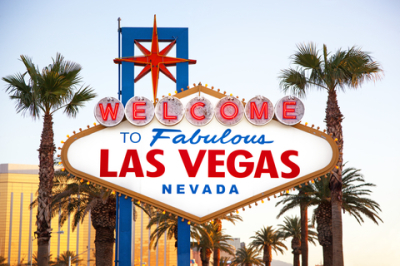 Travelers aged 18-21 who are unaccompanied by a co-traveler 21 or older can join the tour, however, they cannot gamble in Las Vegas. Due to the Department of Homeland Security's regulations of Hoover Dam, all bus tours are limited to carry-on luggage such as backpacks and duffle bags. All carry-on items must fit in the over head compartment. Luggage cannot be stored in the compartments under the bus. Any other travel luggage needs to be left at your hotel. Due to winter weather conditions and/or unforeseen circumstances, the itinerary for this tour may be affected in October, April and May. The itinerary is subject to change at the discretion of the professional tour guide for the safety of all passengers. We apologize in advance for any inconvenience you may experience. Antelope Canyon: No use of Tripod, no climbing, no trashing, don't take photos in staircases, don't carve on walls, follow Indian guides. Guests will be expelled if they don't follow rules without any refund. As Yellowstone tours are likely to be sold out, we will reserve bus seats once you make reservation. If you would like to make any change for your reservation, please inform us 17 days prior to departure after confirmation, otherwise we will charge penalty fees and $30.00 amendment fee. * 5 days(working days) prior to departure date or no show on tour, 100% penalty fee. No changes can be made. As Yellowstone cabins are likely to be sold out, we will reserve bus seats once you make reservation. If you would like to make any change for your reservation, please inform us 17 days prior to departure after confirmation, otherwise we will charge penalty fees and $30.00 amendment fee. * 9 days(working days) prior to departure date or no show on tour, 100% penalty fee. No changes can be made. We will reserve bus seats for 3rd discounted passengers. Please inform us at least 10 days prior to departure after confirmation, otherwise we will charge penalty fees and $30.00 amendment fee. * No-shows will be assessed a penalty fee $250.00 per passenger for general Yellowstone tours(do not overnight in Yellowstone Cabin) and $300.00 for overnight in Yellowstone Cabins tours. Price may vary during holiday time. It is subject to final confirmation. Please be advised. Due to the popularity of Yellowstone during the summer months, we suggest that you book this tour 1-2 months in advance. Available seating is updated at 06:00pm every business day. Placing an order on Westwindoutdoors does not guarantee confirmation. Westwindoutdoors usually confirms a booking within 1-2 days. We recommend that you book your flight after you receive confirmation. Westwindoutdoors is not responsible for the cost of cancelled flights booked prematurely. Please arrive at the pick-up point at least 10 minutes early. Westwindoutdoors reserves the rights to adjust the itinerary, if the attractions are closed during holidays or due to weather. The final itinerary is subject to reconfirmation. Please check more details of the itinerary with your guide during the trip. Westwindoutdoors cooperates with top local area tour operators and ensures the best quality of services to all travelers. We provide tour coaches that all are insured with a liability insurance coverage from $5,000,000 to $10,000,000 to make sure that your trips are safer and more enjoyable. Please do NOT take pictures on the stairway, bring a camera tripod, or climbing on the walls when visiting Antelope Canyon. Make sure to always follow the Native American guide and obey their instructions. Customers who do not comply with these rules will be sent back to bus without refund. This tour/activity is overseen by a select local operator in the region. Upon booking your tour or activity and after receiving confirmation, you will be issued an e-ticket detailing the local operator's name and contact information. If you require assistance finding a specific tour, please contact us for more information. *The third guest joins the tour at a discounted rate (except applicable admission fees, mandatory tips, optional activities, and own expense items) on shared room basis. *For buy 2 get 3rd discounted promotion, please choose the actual passenger numbers so that we can reserve the bus seat for each passenger. *** Standard Amendment, Cancellation and Refund Policy applies to discounted-fare passenger based on triple or quadruple price. *No-shows will be assessed a penalty fee $250.00 (don't stay at Yellowstone cabins)/ $300.00 (stay at Yellowstone cabins) per passenger, that is to be paid in cash by the other participating travelers of the reservation. *Triple/Quadruple price does not guarantee a third/fourth bed in the room since each room is equipped with 2 beds. Please check the availability at the time of check-in. *Additional fees may apply for travelers under 2 years of age. Please ensure you inform us when booking if you are travelling with infants 2 years or younger by placing the number of infants and their dates of birth in the comments section when booking online. - Please refer to our Standard Amendment, Cancellation and Refund Policy before you make reservation. - Please refer to Customer Agreement before you make reservation. - Local tour provider reserves the right to make modifications to tour arrangements including order of tour activities, hotel and its location if deemed necessary. Airfares or other transportation between your home and LAS VEGAS Pick up location / departure at Circus Circus. Any extra nights in Las Vegas before or after trip. All personal expenses, additional hotel services and meals. 1 Hour Tour Into ANTELOPE CANYON with a Navajo GuideCost: Adults $50 ea Plus $8 ea Navajo Parks. Tip for Navajo Guide $5 minimum.